The LA Times is reporting that factory out put increased last month by 0/8%. This virtually wipes out the 0.9% drop seen in January, that was largely attributed to unusual weather seen across the country. Market Watch has a report that takes a look at some skepticism some home builders are feeling. Some of the causes of the pessimism includes poor weather, difficulty finding lots and labor. As for home buyers, things seem to be looking up, so Housing Wire has a list of three things needed to be known about the 2014 housing market. Some good news coming from the car industry out of Michigan, as Fiat is adding 800 workers to an old Chrysler plant, in Sterling Heights. Fiat is planning on spending around $1 billion to properly retrofit the production facility. While things are looking up for Fiat, Tesla is having some problems with its direct sales strategy. New Jersey is the latest of three states to ban Tesla’s direct sales model. Get those brackets done at lunch today, the madness begins on Wednesday. Here’s to a productive start to your week! This entry was posted in Uncategorized on March 17, 2014 by johnatmetalproducts. Snips Magazine has a brief press release related to the increase of jobs in the US in January. There was a reported 113,000 jobs added last month. IMPO has an interview with Joe Atikian, the author of Industrial Shift:The Structure of the New World Economy. His book and the interview touch on his belief that manufacturing and farming are not decreasing in the US, and the importance of Mexico in the future of manufacturing. Unfortunately for Australia, Toyota recently announced that all of their factories within the country will be removed by the end of 2017. This move will remove the last car manufacturer in the country, and thousands without jobs. CNN Money has the story. A Toronto-based start up has created a wrist band that syncs with your heart beat to bypass passwords to your own accounts. The bracelet resets itself when removed, and if stolen, cannot be used with another person’s pulse. And if you’re missing out on this year’s AHR Conference, TMB Publishing has a live stream here. That’s it for this Monday. Here’s to a productive start of your week. This entry was posted in Uncategorized on February 10, 2014 by johnatmetalproducts. As most of the country is covered in snow, one invention we have to help keep our roads safe and clear for transportation is a snow plow. Snow plows come in a variety of sizes and a couple of styles depending on the area that is needed to be cleared. The most common snow plows that are found on the market are either straight, one pieced plows or two pieced, rotating plows. 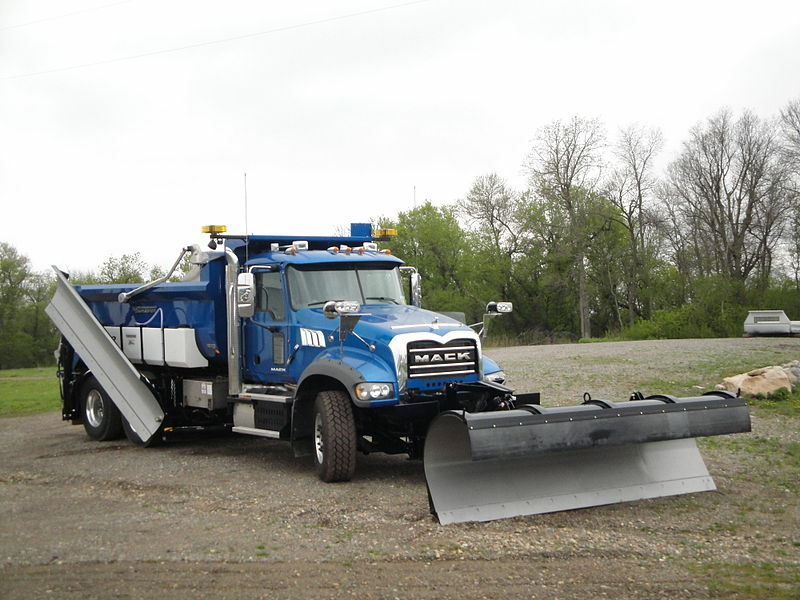 The straight plows (such as the one seen below) are typically found on larger trucks and utility vehicles, and used to clear large areas such as highways, and parking lots. The two-pieced, rotating plows can typically go on consumer sized trucks, to large industrial trucks as well. They allow to pile up the snow within the blades of the plow, then rotate to evenly disperse the built up snow. The two blade set up is typically best used for small areas. The type of material used to build a snow plow is incredibly important, due to the conditions where a snow plow would be needed. Typically, stainless steel is used for the blades, or the actual surface that is used to scrape and disperse the snow. 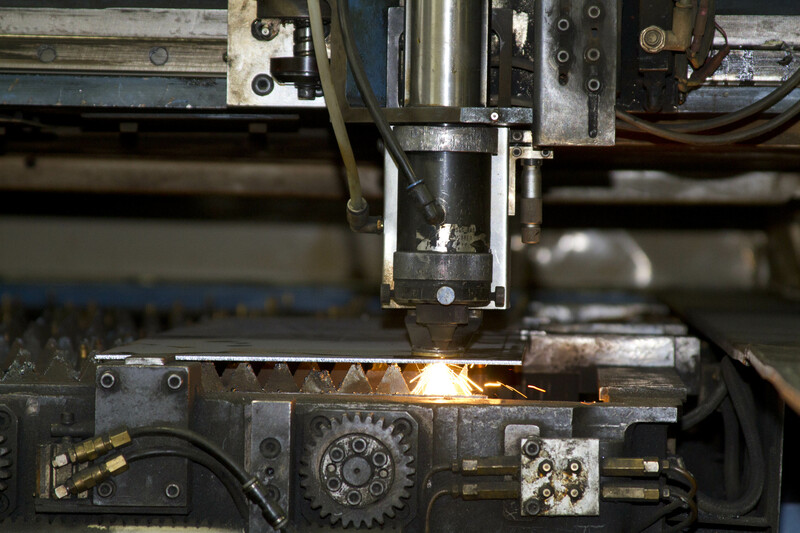 Stainless steel is used because of its strength and non-rusting characteristics. 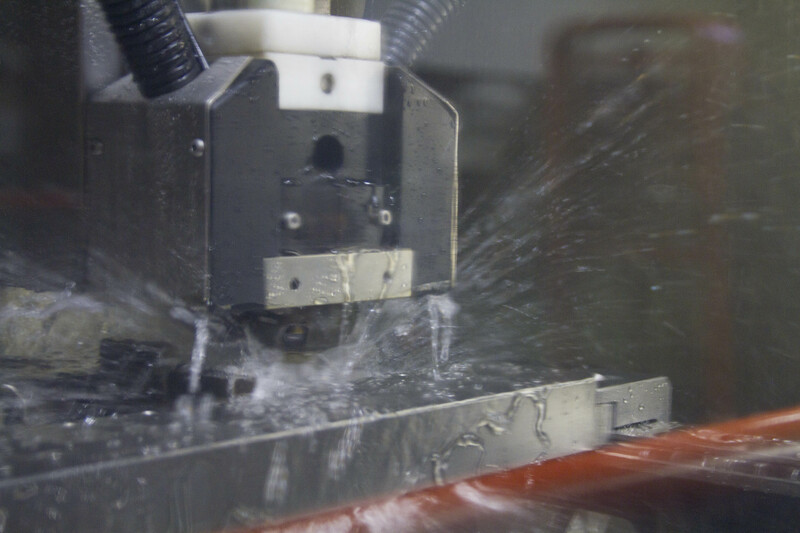 The sheets of stainless steel have holes punched into them at the top of the sheet, passed through a form rolling press to give them their proper degree, and then put through a press brake to bend the top section to fit on the base. The base of a snow plow is typically made of carbon based steel, that is powder coated after construction to aid in rust proofing. Regular steel is significantly cheaper, and easier to manufacture than stainless steel, so most use a basic steel for the base. Many bases are manufactured differently, but you can see how one company makes their base here. This entry was posted in Uncategorized on February 7, 2014 by johnatmetalproducts. Bloomberg reports on the increase in manufacturing at the end of last year. Construction saw some of its highest numbers since 2008, and an increase in consumer confidence has the automobile industry smiling. Planet Money on the other hand feels that the importance of manufacturing to create U.S. jobs may not be that important. Here they have a visual breakdown of the U.S. job market within the Service industry. As Congress comes back to work, Market Place Economy discusses the potential ramifications of unemployment benefits, and what might happen to the 1.3 million unemployed that lost their benefits in December. 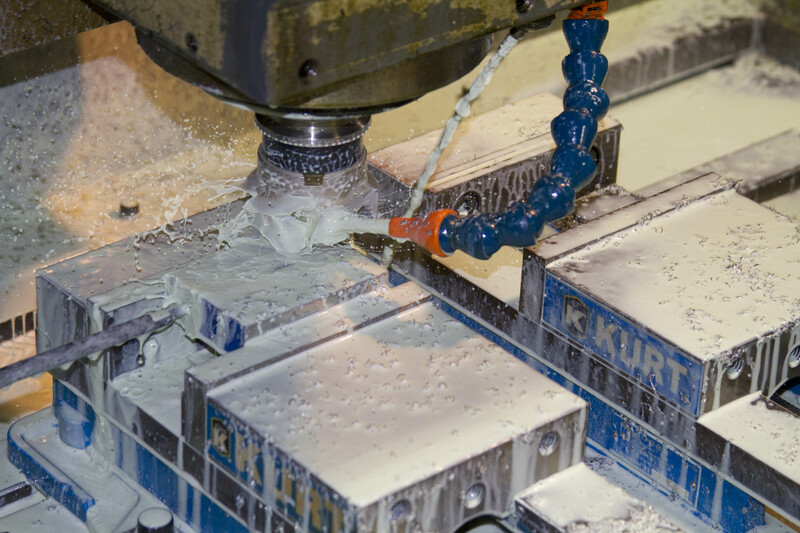 Manufacturing.net touches on the efforts being made by manufacturers across the country attempting to reach out to the youth of the U.S. and show what potential employment options there are in skilled manufacturing jobs. Welcome to 2014. We hope that your Holiday Season, and New Year were fantastic, and we hope that your 2014 will be even better. This entry was posted in Uncategorized on January 6, 2014 by johnatmetalproducts.